A Birthday cake for someones 80th Birthday. The sponge and filling tastes exactly like a cherry bakewell! 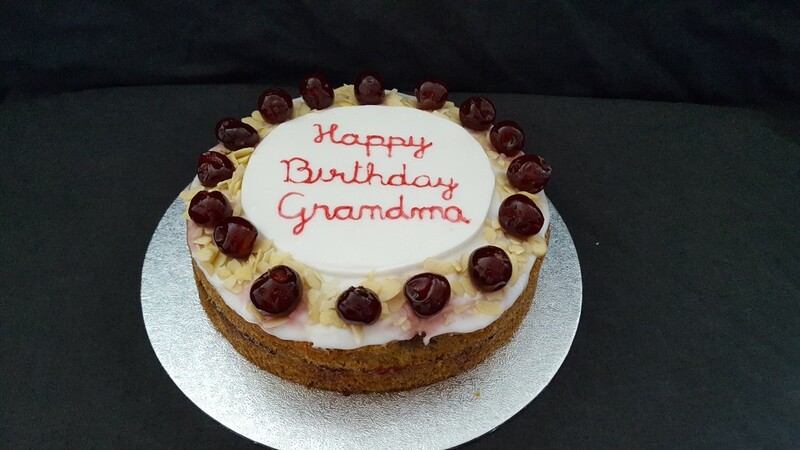 It has been decorated with icing, flaked almonds and glace cherries. Also a handwritten birthday message, a lovely surprise from her Grandson!